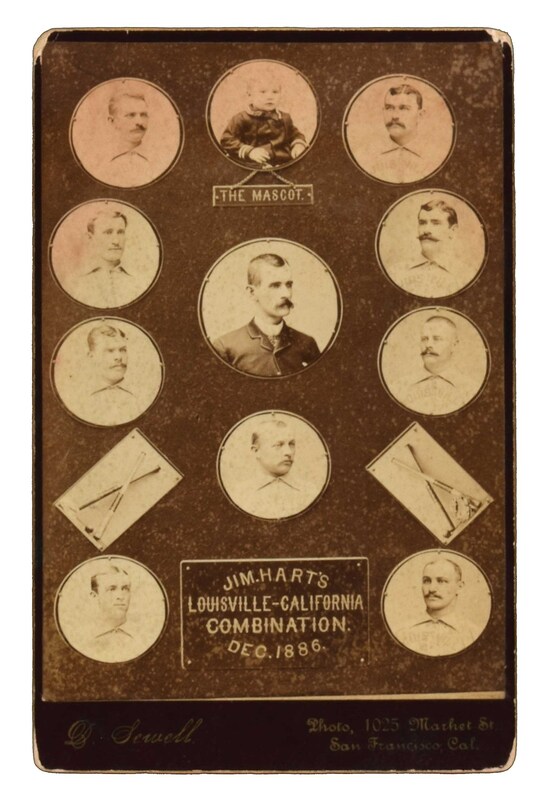 Outstanding 1886 composite cabinet card featuring Jim Hart’s Louisville-California Combination team. The photographer's credit, "P. Sewell Photo, 1025 Market St. San Francisco, Cal.," appears in print along the base of the mount. In December 1886, manager Jim Hart arranged for his Louisville team of the National League to travel to San Francisco for a barnstorming tour. Hart added a few California League players to the roster, and proceeded to win 20 games in a row before finally losing to the California League’s Haverly team. This widely publicized tour is credited with dramatically increasing interest in winter baseball in California in the 1880s. Very little has survived relating to baseball in California in the 1880s. This cabinet card is one of the rare exceptions and is one of only three examples we have ever seen. Its rarity notwithstanding, its design is also aesthetically pleasing, as it includes photos of period equipment, including bats, balls, caps, and a catching mask, as well as the team's adorable young mascot (almost certainly the son of a team member). The cabinet card (4.25 x 6.5 inches) displays light corner wear that in no way detracts from its overall Very Good to Excellent appearance. 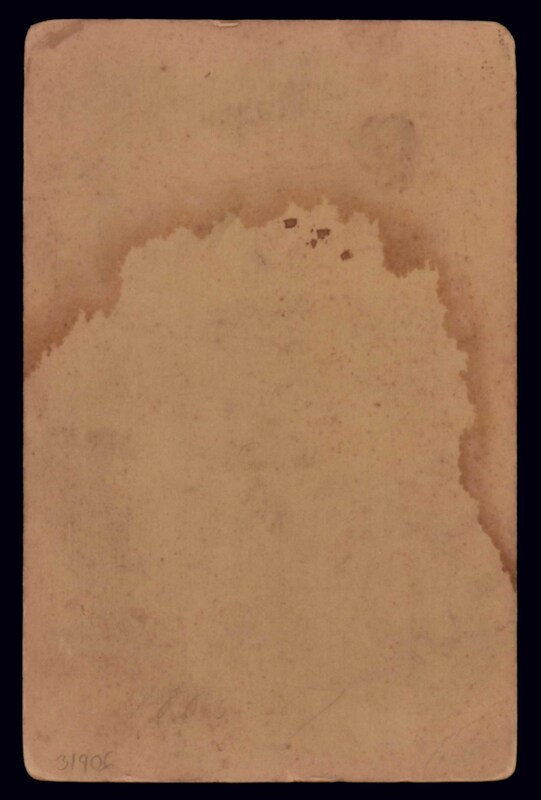 Light staining and pencil notations on the reverse would cause it to grade more modestly. This cabinet remains an exceptional example of one of the most interesting and unique cabinet cards of the era! Reserve $1,000. Estimate (open).